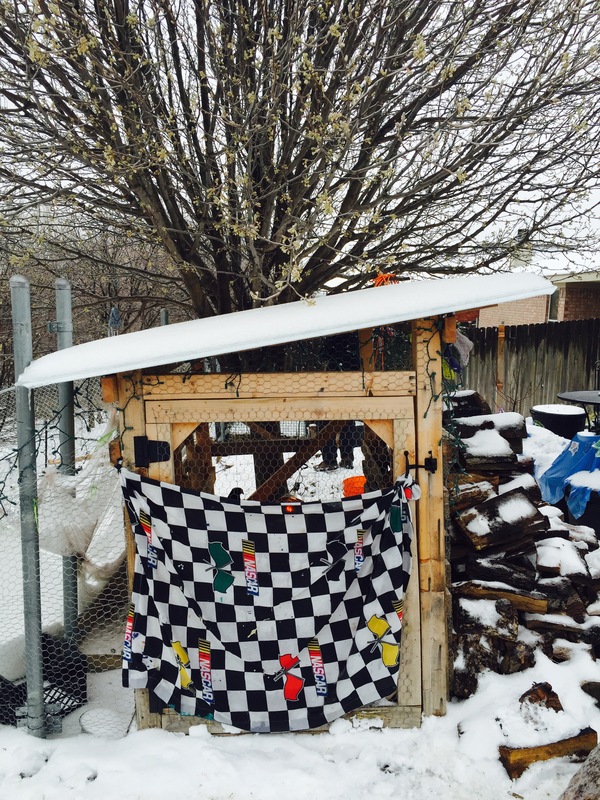 The chickens were snuggled in the hay with a heat lamp, a classy upcycled NASCAR sheet protecting them from the chilly wind. Texas weather is predictably unpredictable. So, while I secretly hoped and feared (global weirding?) that an early spring had crept upon us after several days with highs in the 80s… I knew that Arctic weather was bound to come. That early spring got nipped in the pear-tree bud, which had just come out a tad before the snow last week. School shut down for two full days. Fortunately I dragged enough dry wood inside to keep the fireplace constantly going. 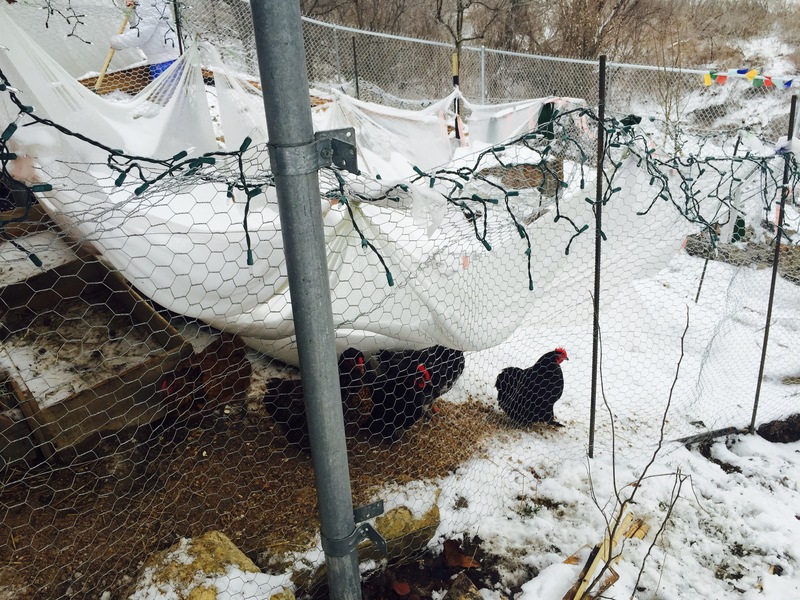 Once the snow stopped and the sun came out this weekend, the chickens were happy to also poke around. They’re quite scrappy and hardy! They kept producing eggs at a steady rate as well. We had to make sure to collect them each day. One egg was left untended and froze, expanding and breaking the shell. 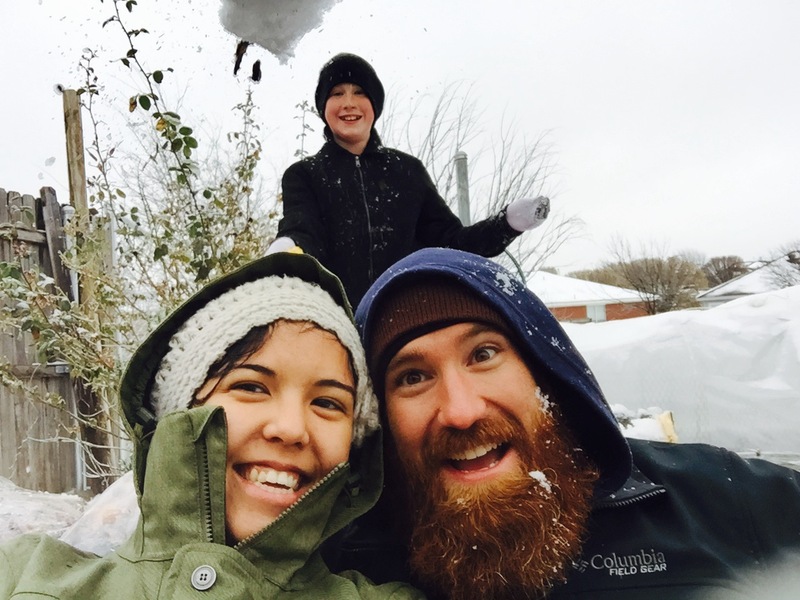 It was a shame that I couldn’t do much garden work this weekend, but the snowball fight with my family made up for the disappointment of a lost workday. And, if nothing else, the moisture and weight of the snow is helping break down the massive amount of leaves we put into the wooden terrace beds to turn into soil for fall planting. My only concern now is that we are hosting our wedding in the backyard in less than two weeks. I hope the weather turns more fair in time for us to garden a bit and enjoy the outdoor space on the day of our homestead nuptials. See the snowball midair? Not bad for a selfie! Garden-crazy, dog-loving, coffee-drinking, planet-saving, super friendly gal -- yep, that about sums me up. Oh, and I'm also a high school English teacher.